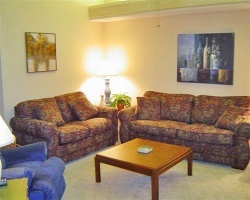 The calming countryside of Arkansas awaits with the timeshare suites at the Escapes! to Cherokee Village resort. Find timeshare resales and rentals priced up to 70% off today. What’s My Escapes to Cherokee Village Timeshare Worth? Also known as Los Indios Escapes to Cherokee Village, this secluded resort brings timeshare owners and guests to the quiet simplicity of the Arkansas countryside. 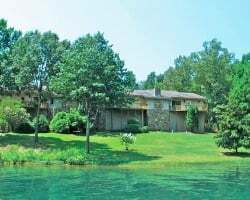 Awash in forests and just minutes to scenic Lake Thunderbird, the Escapes to Cherokee Village resort offers comfortable accommodations and a variety of great amenities to make your stay one to remember. 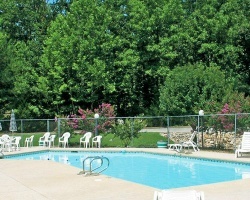 Offering an outdoor pool, tennis, volleyball, and badminton courts, horseshoe pits, and so much more, the Cherokee Village resort will grant you great vacations each year. Timeshare units at the resort are perfectly suited for families and groups of up to six. Comfortable and quiet two-bedroom suites incorporate modern furnishings with a rustic feel to create a relaxing vacation experience. 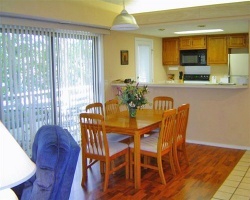 Enjoy special in-unit features like a fireplace, laundry machines, whirlpool-style tubs, air conditioning, and more. Perfect for family trips to the country, you'll find your very own home away from home at the Escapes to Cherokee Village specially suited for your enjoyment. Are you ready to find high-quality ownership options at this resort? Fill out the form on this page to learn more or call a representative at 1-877-815-4227. A timeshare at the Escapes to Cherokee Village resort can result in years of guaranteed accommodations in Arkansas, as well as a future of exciting owner benefits to help enhance your yearly vacations. However, the largest benefit might be the opportunity to save thousands on these vacation solutions, which is made possible through timeshare resale. Buying a resale as opposed to purchasing straight from the resort can earn you a timeshare ownership at the resort for prices up to 70% lower than retail costs, allowing you to potentially save thousands. Resales at the resort are usually available in deeded fixed and floating weeks, presenting an unprecedented opportunity for prospective owners. Choose a dedicated period of ownership each year to enjoy your vacation, or opt for a more flexible floating week that gives you more choice—it's entirely up to you. The Escapes to Cherokee Village resort is affiliated with RCI to enable timeshare owners to explore new and exciting vacation opportunities. With your timeshare at the Cherokee Village resort, you can obtain an RCI membership to make trades at similar resorts in locations around the world. Just deposit your accommodations any year you choose to explore new opportunities throughout the RCI network. With the resort's Hospitality award from RCI, you'll also be able to trade for other high-ranked and award-winning resorts spread across the globe. The Escapes to Cherokee Village offers a wide range of things to do and see right on-site as well as a close proximity to popular area attractions. You'll find easy access to preferred amenities during your stay, including an outdoor swimming pool, a playground, tennis courts, and more. Challenge family and friends to rounds of horseshoes down at the pit, or find a variety of other outdoor activities at Lake Thunderbird. Kayak or boat out on the picturesque waters, or spend your days swimming, fishing, and hiking around the shores. Nearby, all of northern Arkansas's best natural attractions are yours to discover. Find more boating and rafting opportunities along the Spring River, or hit the links at the Cherokee Village South Golf Course for days of easy activities. Visit the Vintage Motorcar Museum in Hardy for a neat cultural attraction, or take a day trip down to Hot Springs National Park and Ouachita National Forest. Already Own at Escapes to Cherokee Village?